Coconut oil is a natural nutrient that provides the essential proteins required for nourishing and repairing damaged hair. With a 40% longer barrel, my CoCo LoCo Long Tong will easily create gorgeous, defined curls for even the longest hair. This clever tool allows you to cover every inch of your hair so you can wrap and curl more in one go. 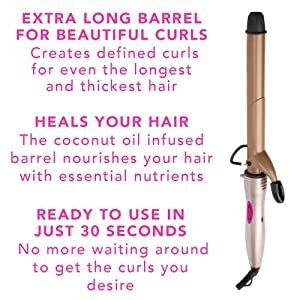 With a coconut oil infused ceramic barrel, silky soft hair is no longer a dream! 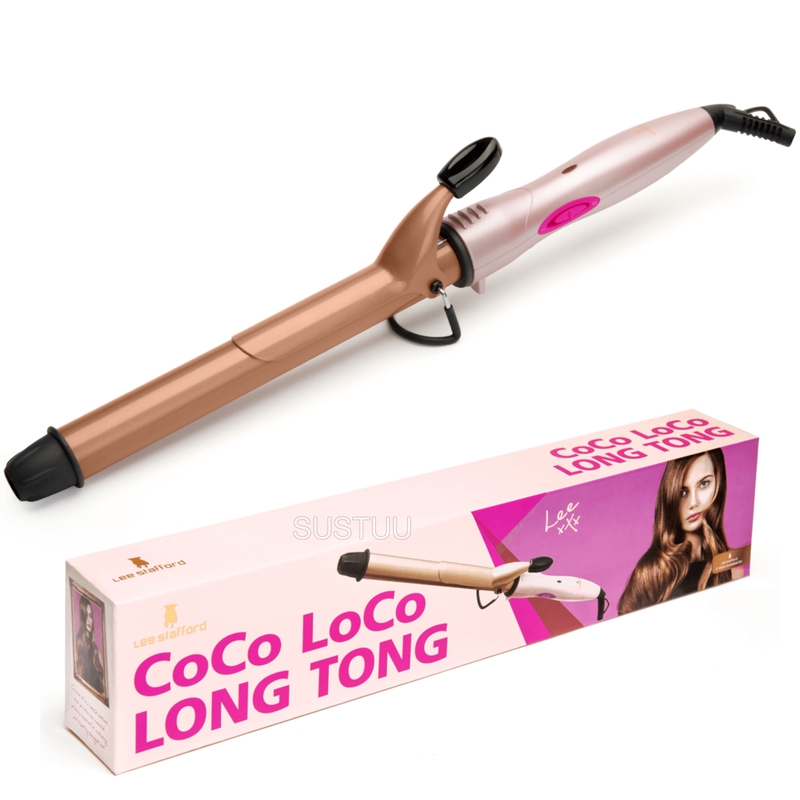 Our Long Tong Curler has been designed to provide the best at-home results possible. 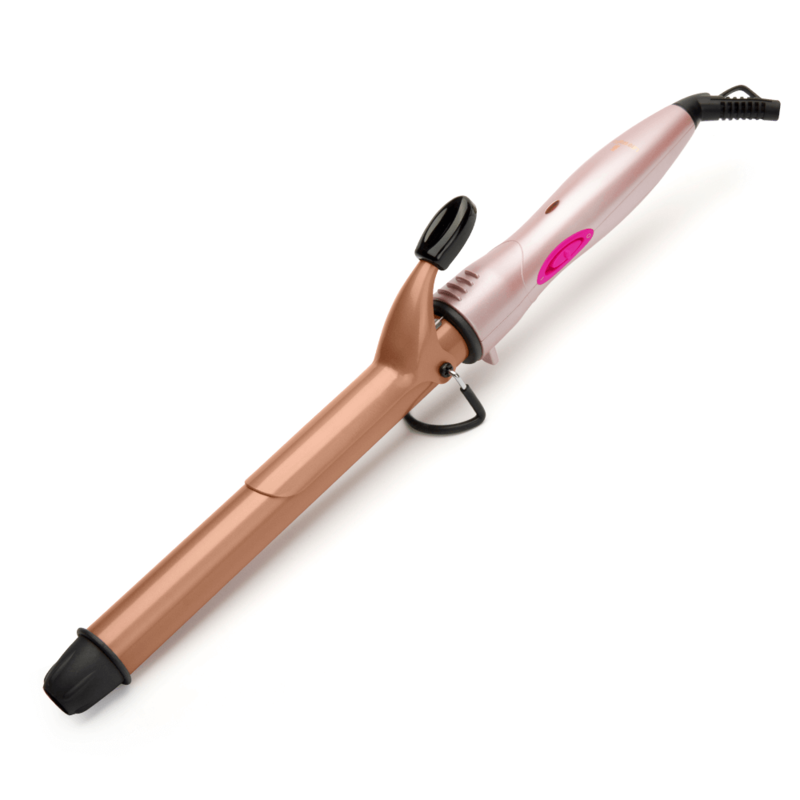 A 40% longer (8”) barrel allows for easy styling of gorgeous curls. Even if you have long or thick hair. The coconut oil infused barrel heals your hair while it works. It nourishes and strengthens your brand new stunning curls with natural proteins, leaving your hair feeling smooth as silk. With the Long Tong Curler, dry, frizzy curls are a thing of the past. 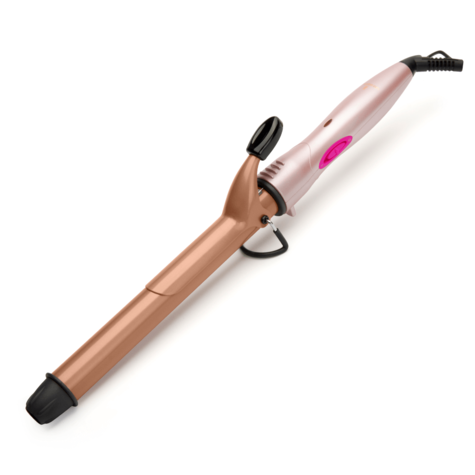 Super fast heat up system lets the wand reach temperatures of 200C in just 30 seconds. And the safety stand prevents burned surfaces and offers easy storage during use. 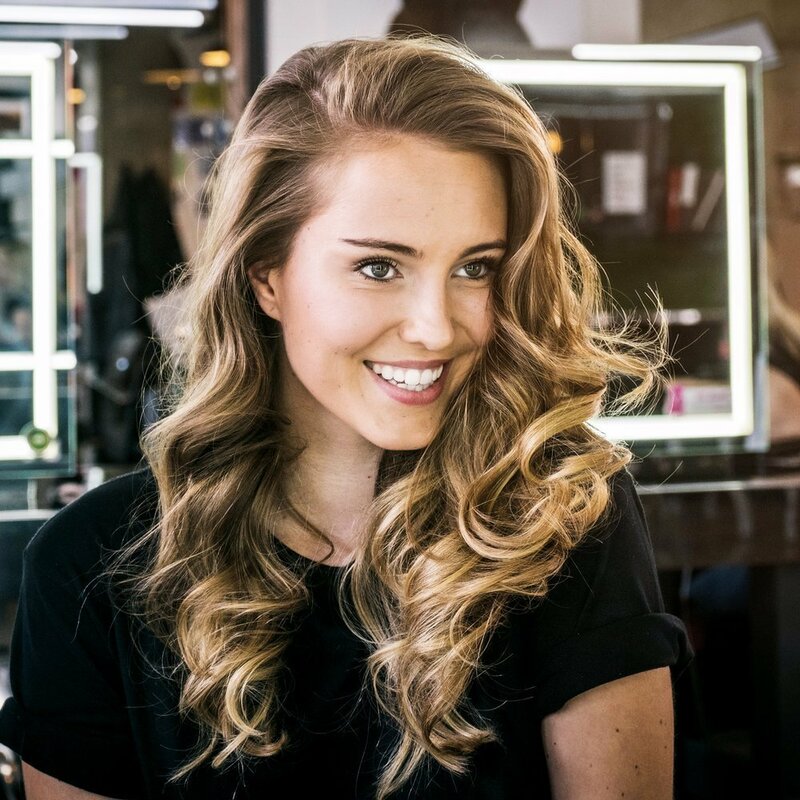 Whether you’re after loose waves or tight spirals, the tongs have you covered. A thumb grip gives you extra control while styling and a swivel cord prevents tangles or snags. 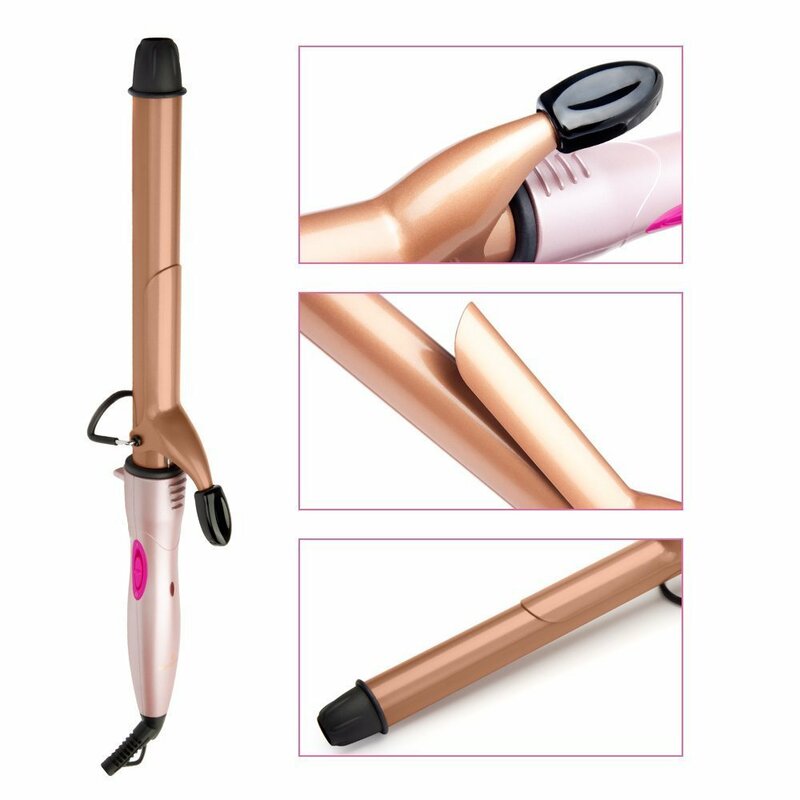 With a stay cool tip to make it simple to wind the curler all the way up your hair. It’s never been so easy to get professional looking curls. The stunning Pale Pink and Rose Gold colours make this a stylish gift for the beautiful woman in your life. The extra safety features make it perfect for all ages!